Searching for the right auto radiators can be a challenge in the Akron area, but there is one place that knows radiators inside and out and that is Ellet Radiator. You will always find what you are looking for at Ellet Radiator. Types — There are two types of radiators: the down flow and the cross flow. You must be aware of these. By knowing the type you have will make the repair a lot easier as you will have knowledge of your radiator. 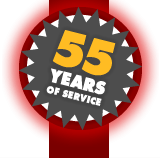 Vehicles — We do not just fix and repair cars and trucks; we do it all. 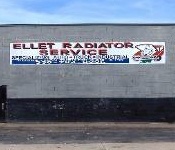 If your business is in need of a radiator repair, call on the experts at Ellet Radiator. We even do motorcycles as well. In shop — We understand that repairs are necessary on your radiator and that is why we do all of our repairs in shop. We carry hundreds of tools and products to ensure that you are getting the best service possible. In stock — All of our parts and accessories are always in stock. We will never leave you in the dark as our warehouses are fully stocked as well. Come see for yourself, and we will be your new shop for repairs. At Ellet Radiator, we want you to be pleased with our services and products, and that is why we even offer a 100 percent satisfaction guarantee. Try us out and see. You are going to like us, and that is a promise. Auto radiators can be found at Ellet Radiator. Give us a call or stop by. We can repair or install your radiator today.